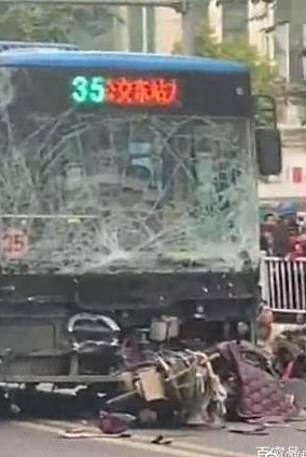 A bus hijacker who killed eight people in a road rampage on Christmas Day has been sentenced to death in China. 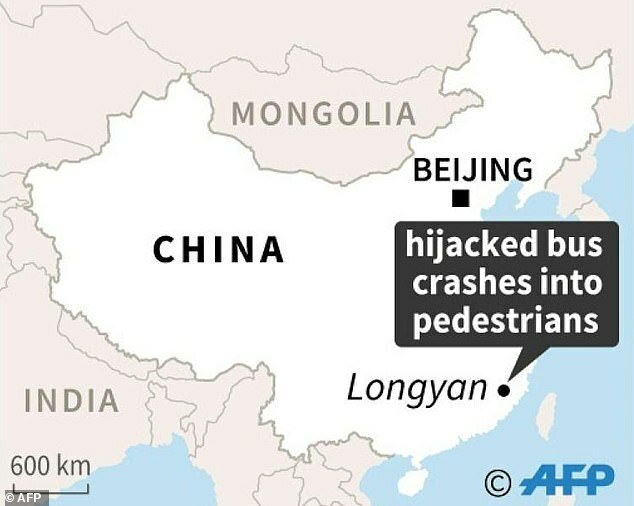 Qiu Rihui, who was armed with a knife, reportedly attacked a female passenger before taking control of the bus in the city of Longyan, in south-eastern China’s Fujian Province. He then rammed the vehicle into passing motorists and pedestrians, killing eight people including a policeman and a local official. The incident also left 22 injured. The news comes as Chinese authorities today executed a man who killed 15 people after ramming a car into a crowded square in central Hunan province last September. Qiu, who is reported to be 49 years old and a local, was convicted of the crimes of intentional homicide and endangering public safety by dangerous means yesterday by the Longyan Intermediate Court. In a video circulating on social media, several injured people were shown lying on the street near a crashed bus, its front badly damaged. Police said Qiu took extreme measures after harbouring a grudge against the workers at his neighbourhood committee, according to a previous report by China News. On the day of the attack, the workers reportedly had come to Qiu’s home to process some paperwork for his father and Qiu had got into an argument with them. The furious man then took a knife, rushed out of his home and started attacking people. In an online statement today, the Longyan Intermediate Court said Qiu’s means of crime was extremely cruel and the situation of his crime was especially serious. It also said Qiu had brought great harm to other people and the consequences of his crime were particularly severe, therefore he was given the capital penalty. The decision was made by a judge in a first trial. China suffered a spate of similar incidents last year. The driver said he ‘chose his victims at random’ and had reportedly been contemplating suicide due to domestic troubles before the tragedy occurred. 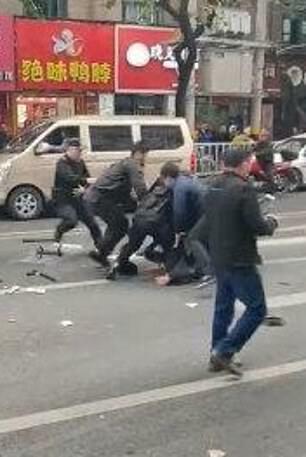 The month before, a man ploughed a Land Rover into a crowd in Hunan province and went on a rampage, attacking onlookers with knives and a shovel. Fifteen died and 43 were injured. 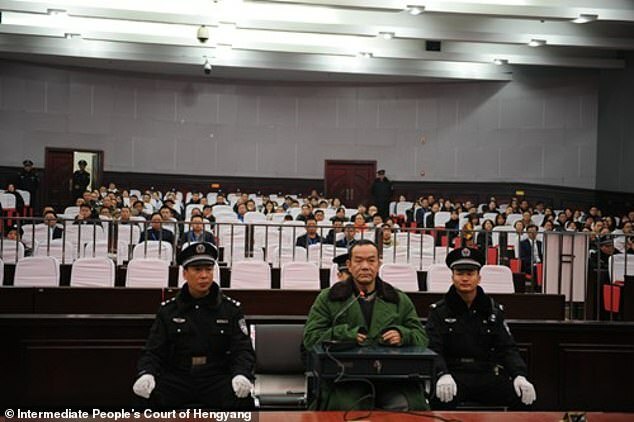 The 54-year-old criminal, Yang Zanyun, was executed by the Hengyang Intermediate People’s Court today.